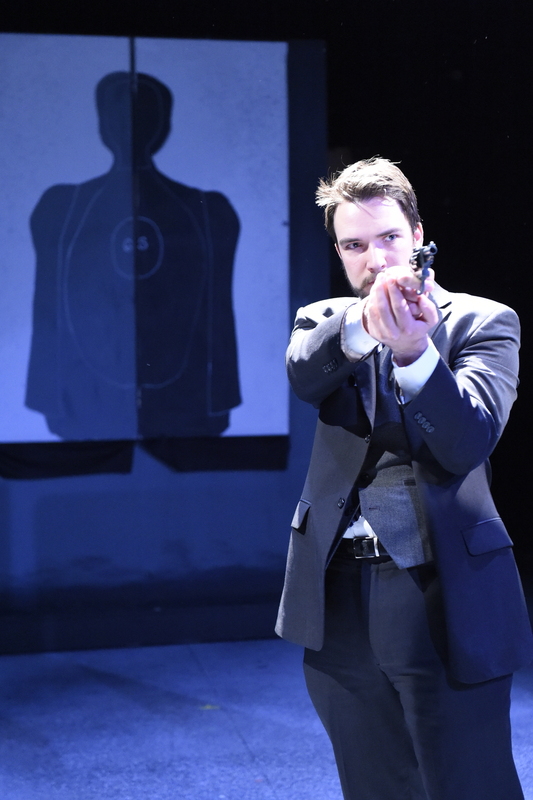 Join us for Tom Stoppard's 1988 spy thriller Hapgood, directed by Justin Alexander, performing at the Nimbus Theatre April 17th through May 2nd, 2015. 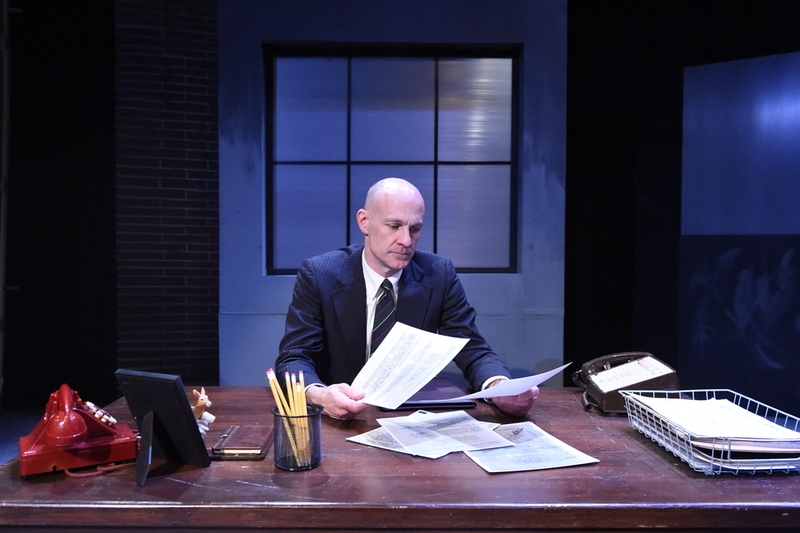 With his characteristic intelligence and sharp characterization, Stoppard "spins an end-of-the-cold-war tale of intrigue and betrayal, interspersed with explanations of the quixotic behavior of the electron and the puzzling properties of light" (David Richards, The New York Times). It falls to Hapgood, an extraordinary matriarchal officer in the British intelligence agency, to unravel a mystery of mistaken identity and deep betrayals. Cast includes Jim Tucker, Philip D. Henry, Song Kim, Zac Delventhal, Joe Schneller, Andy Gullickson, Cody Stewart, Gillian Chan, Skot Rieffer, and Jenn Sisko as Hapgood. 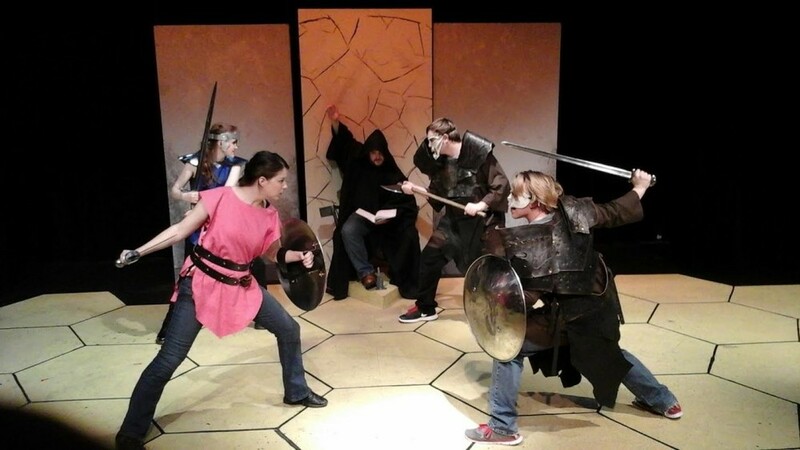 In June 2015, Six Elements Theatre is proud to present our fifth annual Human Combat Chess (HCC). Come see the steadfast Celts face off against the unmovable Templars at the Christ Church Lutheran Gymnasium! Human Combat Chess is a highly choreographed event where 32 actors take on the roles of two teams of 16 fighters. These characters are skilled in all areas of fighting from fists to swords, to daggers to halberds. In a normal game of chess, when a player moves a knight onto an opposing pawn, they capture that pawn. In HCC the knight and pawn face off on the giant chess board using whatever weapon the knight chooses. In reality all of these actors have spent the previous 8 weeks coached by a team of choreographers creating and learning fights to ensure safety and maximum entertainment value. 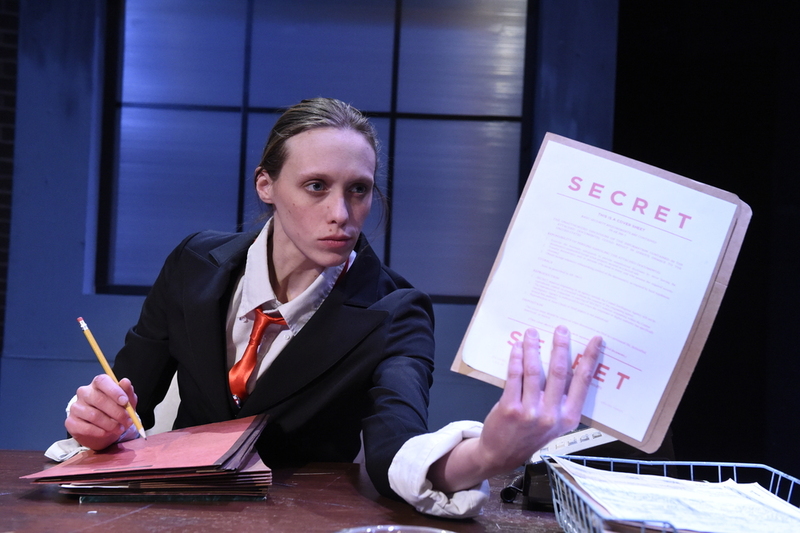 This production is unlike any other you're likely to see at any theater. Most shows are built with a small team, a small cast, presented flat to the audience, who is expected to be quiet and respectful throughout the performance. 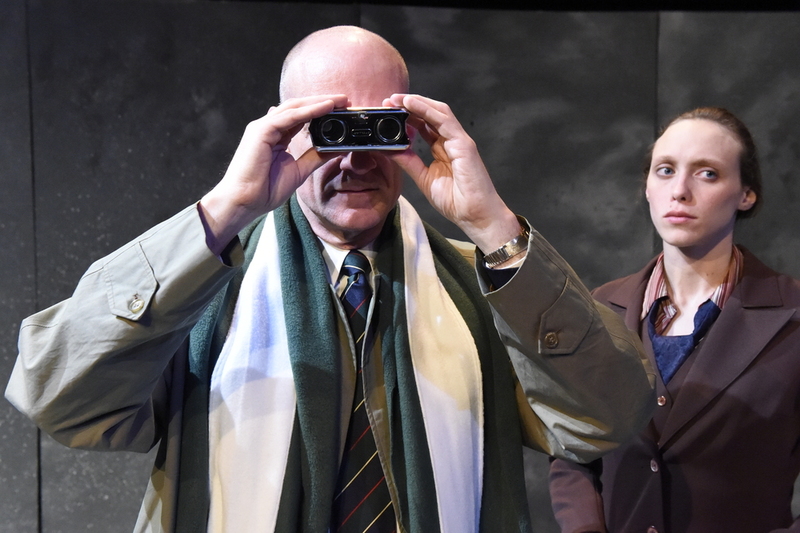 HCC is at its core a play, there is a script, and directors, and performers, but what HCC and Six Elements turns on its head is what is expected from our audience. We want you to shout, to take photos, to tweet. This is a sporting event unlike any other, involving almost 60 artists to collaborate and build. 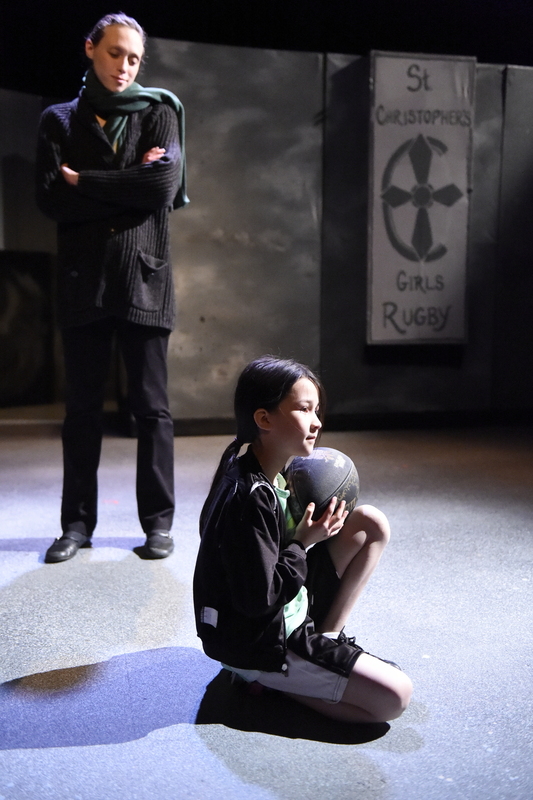 Fall 2015 saw the area premiere of Qui Nguyen's She Kills Monsters, directed by company member Philip D Henry. This comic and touching story features Agnes, a woman who finally gets to know her dead sister, Tilly, by delving into Tilly's greatest passion: Dungeons & Dragons. With thrilling combat, terrifying monsters, and skads of geek-culture references, She Kills Monsters features our brand of high-intensity, finely tuned action.